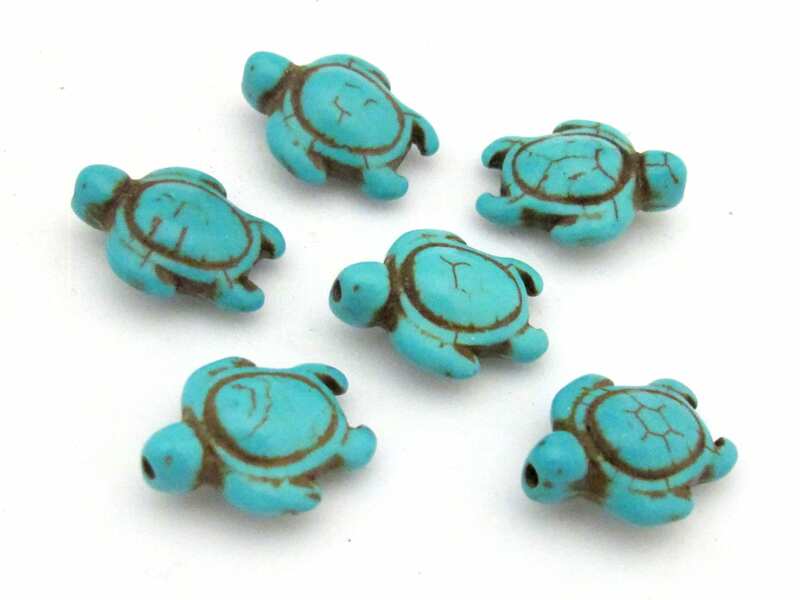 Turquoise howlite gemstone beads - turtle shape beads. Hole is vertically drilled top to bottom. 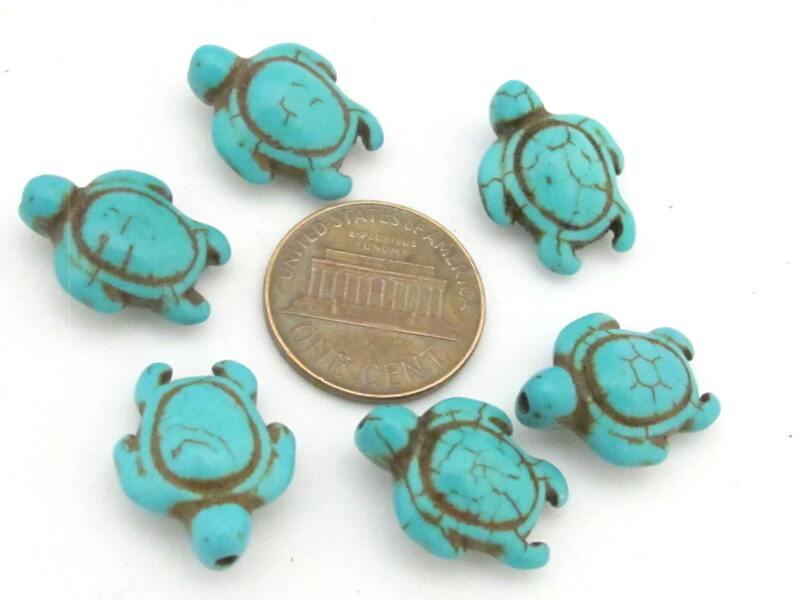 Great for making earrings , charms , craft decors , etc. Size - Approx 18 mm long (head to tail) x 14 mm wide at its widest part.